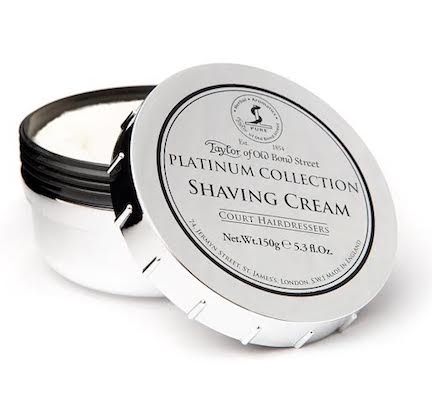 A new take on a classic scent, Taylor of Old Bond Street's Platinum Collection Shaving Cream Bowl, is the same great cream you love with an original scent. The Platinum Collection is scented with bergamot and white pear with hints of sandalwood and amber. Glycerin-based this soap also features coconut oil to soften and moisturize skin and will leave you with supple and nourished skin. Packaged in a platinum coloured screw top bowl.